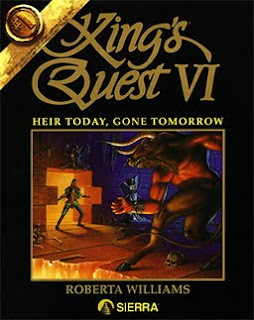 King's Quest VI: Heir Today, Gone Tomorrow, was released on September 30, 1992. It was the sixth game in the King's Quest series. Prince Alexander sets sail for the Green Isles in search of the beautiful Princess Cassima. The Amiga version was released in 1994. This version was created by Revolution Software, and used their Virtual Theatre engine rather than Sierra's SCI engine.